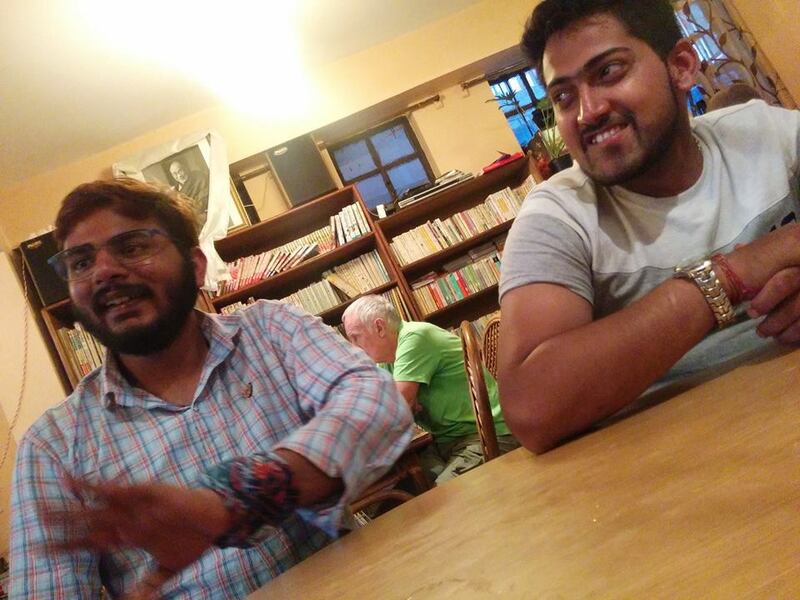 While wandering the streets of Mcloedganj, we enquired about all possible routes to Triund trek from locales. After having dinner and a hot chocolate brownie, we headed back to our hotel as Mcloedganj goes dead silent by 10:30 PM. The next morning, we woke up to the news of “No water” in the washrooms. Off to a bad start but we managed, anyhow, to start the journey to Triund by 7:30 am. 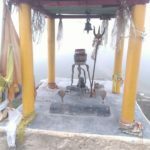 Already running late than planned, we hired a cab from the center square to Gallu Devi Temple. This is the place where people are first asked to register their names with the army (to keep track). 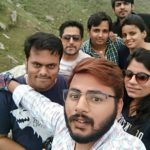 There was a cafeteria on the top, where we had breakfast and got some stuff like chips, water and chocolates packed for the trek and here we started our trek to Triund. Triund is made up of two words : Tri, which means three and Und, which mean mountains. On reaching the top, one can see these three mountains usually snow-capped the year round. This trek is small and easy – primarily for first-time hikers. 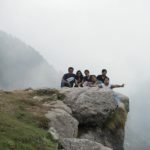 One can start from Mcloedganj (9 km) or Dharamkot (7 km ) or Gallu Devi temple(6 km) to triund trek. 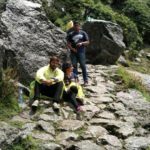 It usually takes 4 hours (leisurely trek) or 3 hours (fast trek) to reach the Triund top. The start of the trek was pretty simple, a plain road of stones. After walking for a few minutes, there was a sudden increase in the steepness of the incline. Yet we kept on walking at our individual paces, with me taking frequent selfie-breaks in between. The first stretch of the trek passed through a mixed forest of oaks, deodars, and rhododendrons on one side and a green valley on the another. Initially what seemed easy, had started to drain our energies by now and everyone felt tired after 2 hours of continuous walking. But, the fresh crisp air of the place filled our spirit with enthusiasm again to reach the top. More frequent breaks and target setting (like – no rest for the next 30 minutes) become common with the passing time. After a series of photo sessions, trekking and chocolate break, here we reached our first stop (2.5 km) – The Magic View Café, amidst a lot of laughter and fun. This place stands true to its name and the views were truly magical. Furthermore, the Bird’s eye view of the entire Dharamshala from this point was something to soak in and one can even spot the cricket stadium which can stump anyone with its beautiful location. While we are enjoying the view, something was brewing in the air. Suddenly there were clouds everywhere and it started raining cats and dogs, accompanied by hailstorms and loud booms of lightning. This sudden change in weather made us a tad disappointed after high expectations. Sad! we started planning for the outcomes either we will stay here for 1 hour and continue if the rain stops, or we will return back as we had to board our bus in the evening back to Delhi. After 30 minutes, we decided to continue our trek and bought raincoats for each one of us as the weather was not clear yet. As a matter of fact, the shopkeeper charged us 150 for new and 100 for used raincoats, which were merely a piece of plastic in the shape of an over-sized poncho. Although things seem impossible at times, determination always finds a way. Consequently, the sky was clear exactly after an hour and our defender Mr. Sun shone even brighter than before. 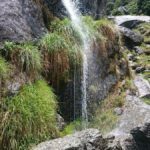 There were small waterfalls as well on the way and the line from the song Luka Chupi “Maine Jharne Se Paani Maa Tod Ke Piya” stood completely true for me. Initially, I was reluctant but after having a sip, I realized that mountain water is far better than our RO water!! What a view!! It felt like I was dancing on the green carpet with floating clouds, among the snow-capped mountains, cheering and clapping on our achievement. I was too awestruck to do anything but to sink at the moment and wish for the time to stop. “If there was heaven on the earth, then here it is!” were the words echoing in my ear. After some time, entire Triund was engulfed by the fog and mist and it became impossible to look around. Shortly, it was again crystal clear. 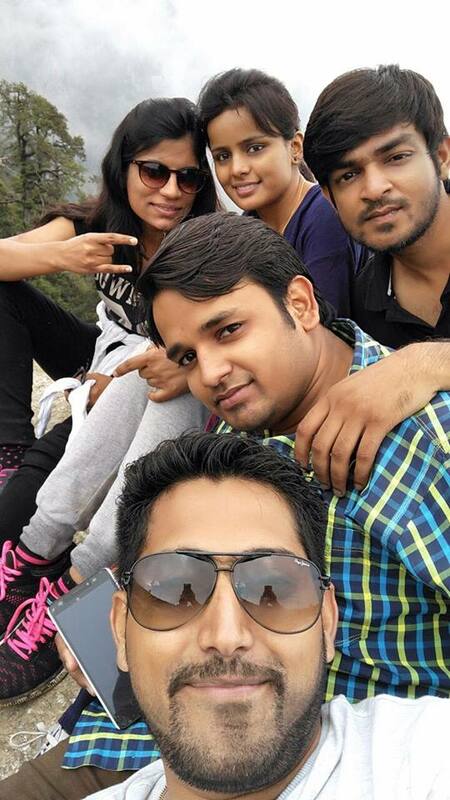 Some decent frames and deadly selfies were taken before heading back downhill. 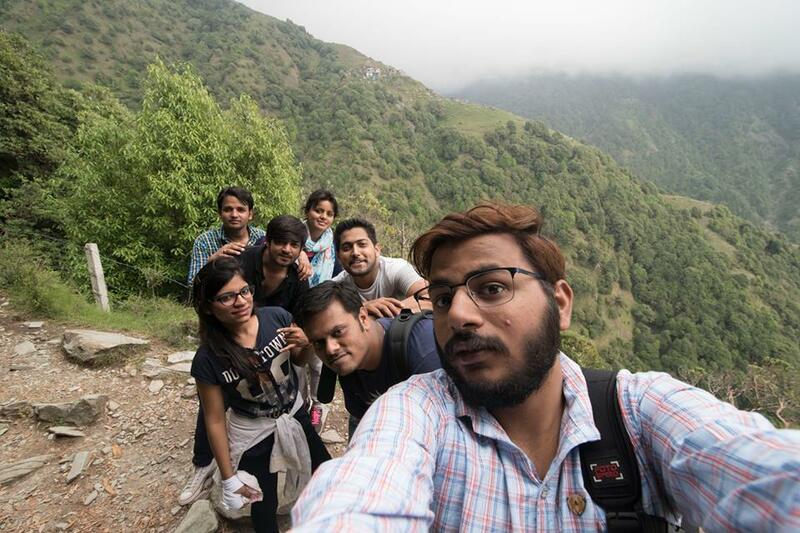 We started descending and reached Dharamkot within 2 hours and from there on, we hired a cab back to Mcleodganj. Everyone decided to attempt some new cuisine for supper before leaving- what better than Japanese food? So, we all chose to visit Lung Ta Japanese Restaurant. The place was curated in traditional Japanese style with extended outdoor seating and the staff was extremely cordial. It usually opens at lunchtime and takes last order by 8:30 PM and they are closed on Sundays. Must try: Wasabi. After having a very delicious and pocket-friendly supper, we took the 7 PM (Volvo) Bus back to Delhi and reached Delhi early morning. 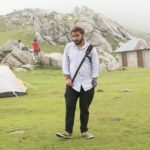 Best time to do Triund trek is during the months of April-June & September-October and avoid Triund trek in the rainy season (July-September). Walk carefully: Don’t walk on the outer steps of the trek and carry walking sticks for better stability on rough terrain. No littering: They are people who trek only to collect garbage on the way to keep the place clean and green. So, don’t litter or throw garbage on the trek or down the valley. No Toilets: No Toilets up on the hills, so nature is yours to explore. Weather: Weather changes drastically, so carry raincoats or poncho handy. One should also carry woolen clothes if planning to stay at the top. 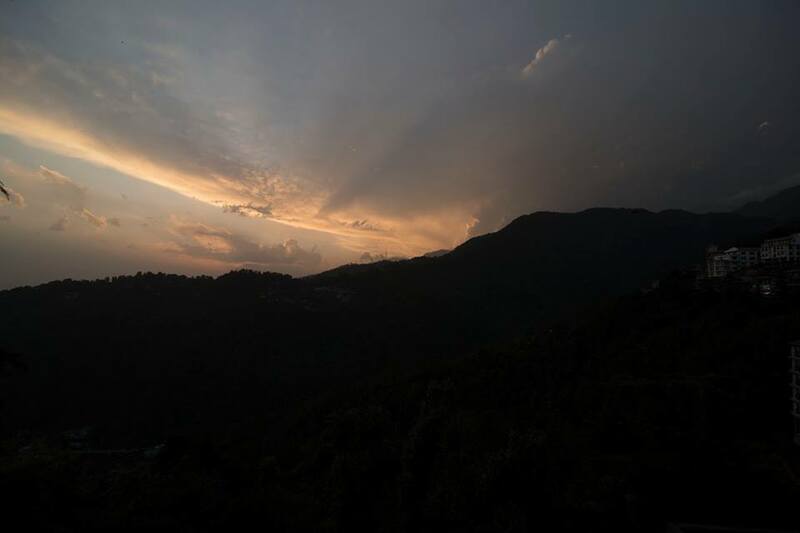 Accommodation: There is only one guest house of Himachal Forest Department, which can be booked from Dharamshala. Other than that, one can pitch a tent or can stay in some rock caves. 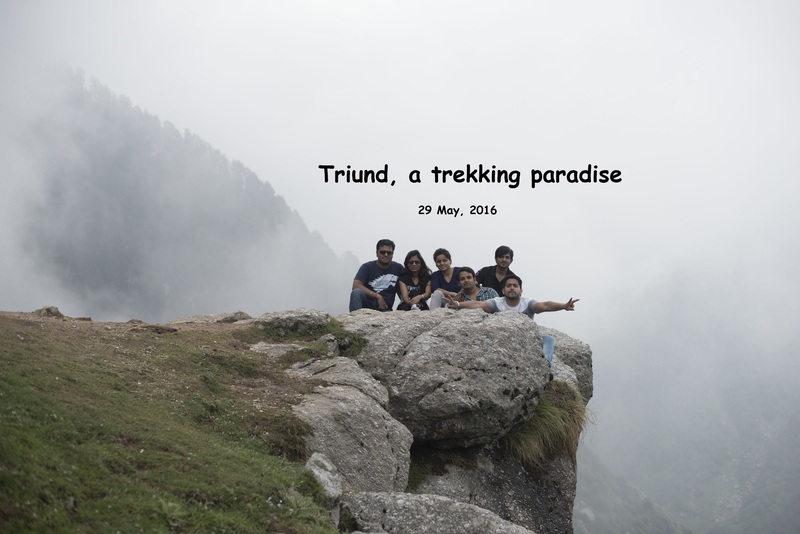 Triund, truly a trekking paradise, especially for the first-timers. This trek is one of those moments where I felt both nature’s harshness and pleasantness at the same time. Still, I got drowned in the depths of its beauty completely. It was heavenly. It was mystical. It was surreal. It was surrendering. It was celestial. 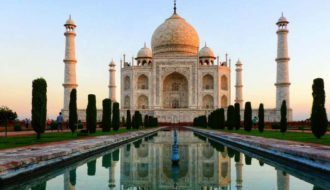 Imagination would not reach what you see there – “It was beyond words”. One side, you’ll see the whole Kangra valley and on the other, the mighty Dhauladhar range. What else could a mountain lover expect? So, bundle your bag and relish your lost love for the mountains!! 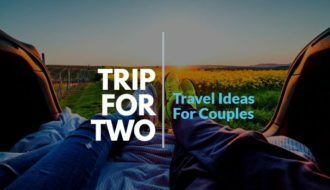 Next ArticleNainital, the girls only trip ! 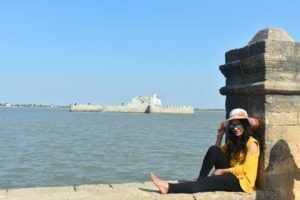 Very beautifully narrated…While reading the blog, it seems that we all were with you at that time..
Keep visiting the blog for further interesting posts !! Thanks Swati for reading the blog and such kind words. I am thrilled you liked this post ! Please subscribe to my blog for further interesting reads !! 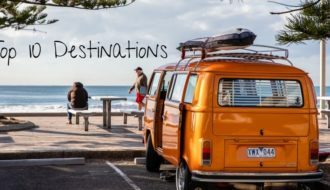 Keep Visiting the blog for more posts!! You can easily buy tents at top for Rs 600-1000 if you reach there on time. Otherwise you can take your own tents if you don’t mind carrying them on your back. 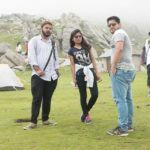 Staying at Triund top is definitely an out of the world experience. 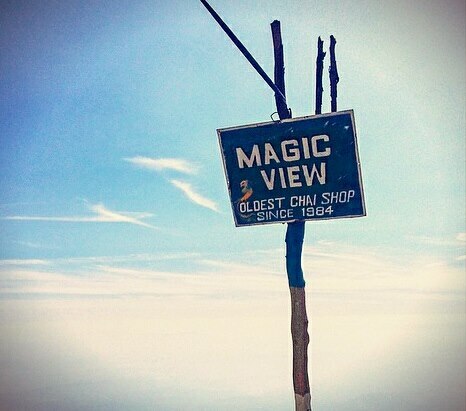 So, do visit the place and enjoy your stay at top. PS: Don’t miss star gazing! 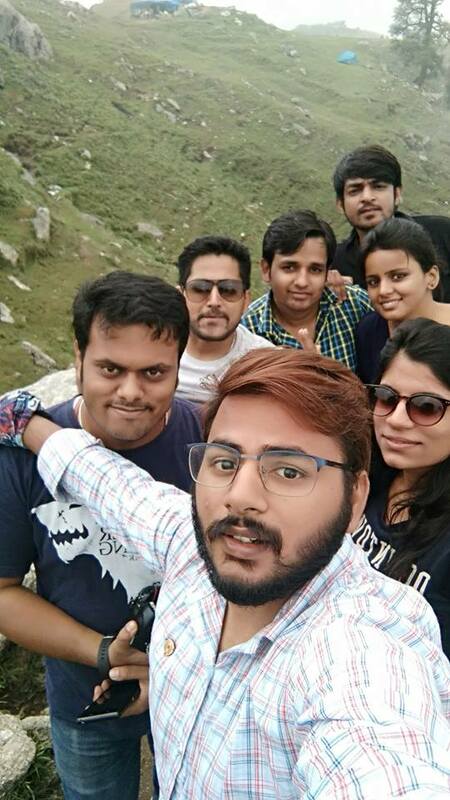 ..can we carry alcohol/cigarettes to triund ? 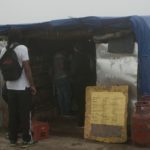 You can not carry alcohol/ cigarettes, as there is a strict check post, at the beginning of Triund Trek. 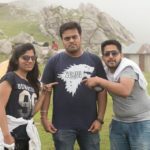 plz suggest if food is available there in triund. Food is available easily at the top but it is little expensive.